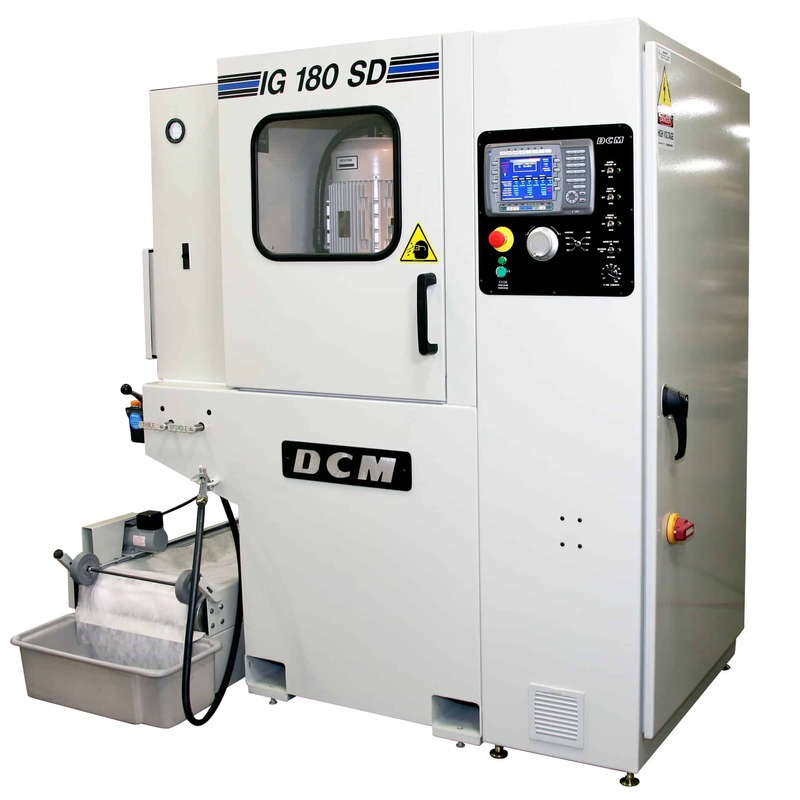 DCM Tech’s IG 180 SD rotary surface grinder provides a fully enclosed, close tolerance package within a 3′ x 5′ footprint. The full enclosure provides a heightened level of process cleanliness where air quality is crucial. With the productivity of rotary surface grinders, the IG 180 SD works well for mid volume grinding applications. The servo drive control package saves multiple programs for process repeatability.